So goes the famous Spanish Proverb. These seem to be my marching orders these days. Tom and Lila and I had a super long vacation Memorial Day weekend. 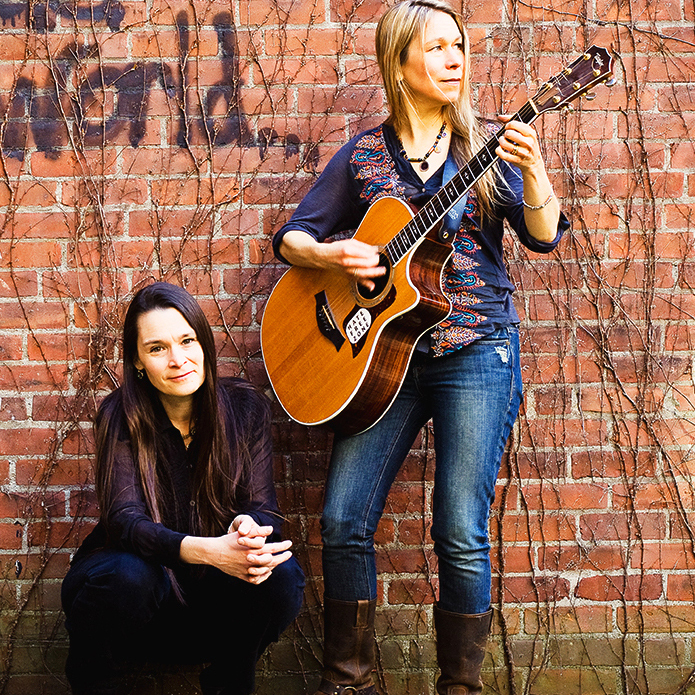 Well, long by Nields standards: 4 days! On Friday, we took the long, slow way up to the Adirondacks, stopping on Route 9 to drop off copies of my books at various co-ops and generally enjoying the little towns of my past (Williamstown and Bennington in particular.) By the time we met up with my parents at the Treehouse (our name for our cabin in the High Peaks Region), I was so tired I didn’t feel like eating dinner, which means that most likely the Second Coming is at hand, or Hell is freezing over–– one of the two. As I’ve written before in this space, we Nields are not exactly a sit-around-and-chew-the-fat kind of family. My father is a high-powered Washington lawyer who goes for a run every morning, and at the age of 65 has climbed the 46 peaks over 4000 feet in the Adirondacks at least twice each. My mother is a retired high school history teacher who has more energy in her little finger than I have in my ever-growing body (though perhaps not more than my soon-to-be-born son. This kid is a mover and a shaker!) While we were visiting, they were mostly out playing golf, though they did manage to climb a few mountains, too. Tom went with them and carried Lila. I? I slept. I took not one but two naps per day. Oh, I did a little more than that. I played my newly restored Martin guitar and chose some songs to do at our upcoming sing along show. I read a client’s (wonderful) manuscript and cooked a chicken dinner. If we’d had internet access, I certainly would have spent a lot of time combing the blogs about what was going on in the political landscape, and thereby raising my blood pressure, but fortunately, we did not, so I did not. Instead, I slept. I don’t know if other pregnant people can relate, but I find these days that even though the quantity of sleep I get is prodigious, the quality is weak. I dream almost constantly—of new houses I have just inherited, of book projects, of having to tour in China––and of course, there’s the having to get up to pee every hour and a half. It’s true that I’ve been working particularly intensely lately, what with the book coming out and our double CD being recorded, etc. etc., not to mention the never-ending, completely compelling work of mothering a two-year-old. But still. I couldn’t shake the feeling, as we drove back to Massachusetts on Monday, that I’d wasted time. I hadn’t even done the basic self-care disciplines I swear by: meditating, writing in my journal, doing yoga. I was too tired—WAY too tired. Coming on the heels of this weekend, I was at a loss. I don’t know. I wanted the answer to be this: Even though it didn’t feel good for a Type A Workaholic Artist like me to do almost nothing but sleep for a weekend, it was good for me. I needed it. And the proof would be in the productivity pudding on Tuesday morning: if the vacation had indeed been “re-energizing”, I would feel well-rested and buoyant and re-energized, right? But that’s not how things worked out. Fortunately, my cervix is shut, and they sent me home to live a slowed-down, do-less, but no-bed-rest-yet kind of life. They told me to cancel any shows that weren’t in close proximity to a hospital (I told them Falcon Ridge was literally right around the corner from several highly regarded ones) and to drink a lot of water and keep my feet up as much as possible. And another piece of advice came to me, unbidden, as I lay around Wednesday afternoon, doing nothing. I realized, with some surprise, that I miss me. I miss the me I get to connect with when I meditate, write in my journal and do yoga. And, I thought with a start, maybe that’s why my dreams have been so intense: maybe my subconscious mind is looking for an outlet, and so it keep me awake, so to speak, with all sorts of symbolic imagery and frenetic trips to China. One of the aspects of motherhood, is of course, that constant tug-of-war of the heart, between one’s own self-care and the care of one’s children, both the external ones and the internal ones. I don’t have any answers yet about how to resolve that one, but I do think tonight I will take a half an hour to stretch a little on the floor, write a few pages and sit with my thoughts and feeling and breath—even if what I mostly end up being aware of is the kicking and turning, the sweet, knobby ballet that is going on in my womb. I think this entry probably answered my question as to why you guys aren’t coming to the Eno Festival this year =( =( =( but I just had to say that I will miss you dearly (I’ve seen you in concert something like 8x. . . I helped out when you came to the University of Rochester years ago if you remember that). Now that I’m down south in NC it’s rare that I get a Nields appearance… perhaps next year? Nerissa, I’ve been wondering how things have been going with this pregnancy–I’ve missed seeing your belly grow. I always look your way as I pass your yellow house on the way to work at the yellow midwife house across the road, but no sign of you. Please wander over and say hello–it’s lovely, with a sunny deck and lots of trees and greenery outside, and you might just hear “Sister Holler” playing, if you time it right!